1 Daughters of the American Revolution Genealogical Research System, Ancestor #A109914. 2 Find A Grave, (accessed 03/03/2012). 3 Massachusetts Vital Records to 1850 (Online Datebase), New England Historic Genealogical Society (2001-2008), Oxford Marriages, Vol. 1, Page 131. 4 Massachusetts Vital Records to 1850 (Online Datebase), New England Historic Genealogical Society (2001-2008), Oxford Births, Vol. 1, Page 109. 5 New England Historical and Genealogical Register, (New England Historic and Genealogical Society), OCT 1930, Vol. 84, Page 415. 6 New England Historical and Genealogical Register, (New England Historic and Genealogical Society), 1906, Vol. 60, Page 192. 7 Bartlett, J. Gardner, Simon Stone Genealogy: Ancestry and Descendants of Deacon Simon Stone of Watertown, Mass., 1320-1926 , Boston: Stone Family Association (1926), 85, Ancestry.com (Online Database). 8 Daniels, George F., History of the Town of Oxford Massachusetts with Genealogies and Notes on Persons and Estates, Oxford: Published by the author with the co-operation of the town (1892), 705, Google Books (Digital Library). 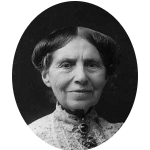 9 Pryor, Elizabeth Brown, Clara Barton: Professional Angel, Philadelphia: University of Pennsylvania Press (1987), 4. 10 Roberts, Gary Boyd, Notable Kin, Volume 1 , Santa Clarita, California: Carl Boyer, 3rd (1998), 213.